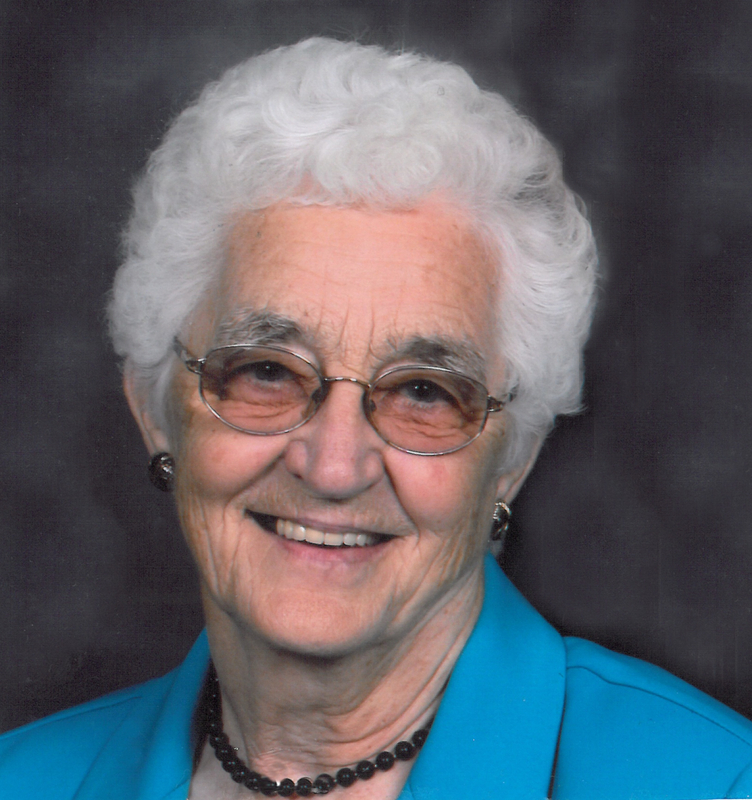 Ella (Dueck) Enns was born on April 19, 1929 and died on February 17, 2018 at the age of 88. Her strong faith, and love of her Savior was evidenced up to and including her last day as she continued to speak of the faithfulness and goodness of her Lord to those at her bedside. Ella was a loving wife, mother, grandmother, great grandmother and aunt. Left to mourn are children, Leonard (Sheila) Enns, Verna (Donald) Berg, Lorna (Terry) Nelson, Arnie (Joan) Enns, Robert (Tanya) Enns, 13 grandchildren, 14 great grandchildren, and brother in law Ed (Mary) Enns. Ella had a gentle spirit and quiet way of meeting the needs of those around her, expecting nothing in return. She seemed to know when someone needed a helping hand, a kind word, some baking or a meal. She will be missed by many. There will be Memorial Service at the First Mennonite Church 418 Queen Street in Saskatoon, Wednesday, February 21, 2018 at 1:00 p.m. In lieu of flowers, memorial donations can be made to either the Gideon Society of Canada, PO Box 3619 Guelph ON, N1H 7A2 or to the Neonatal Intensive Care Unit, Royal University Hospital Foundation, Room 1626 103 Hospital Drive, Saskatoon, SK S7N 0W8. Funeral arrangements are entrusted to Funk’s Funeral Home, Rosthern, SK (306) 232-5245 (www.funksfuneralhome.ca). We are vey sorry to hear of your mother’s passing and also sorry we could not be there for the memorial. We both had a nice little visit with her at Mom’s funeral and she seemed so healthy and well. With her passing, the end of that generation of Duecks is also gone. We hold you in our thoughts and prayers. To the Enns family, my thoughts and prayers are witih you as you say goodbye to your mom. I have many fond memories of your mom! Such a fine Godly woman she was.